By the time the long weekend spent at the 2018 Wine Media Conference (WMC) was over, I estimate I had tasted well north of 100 wines. 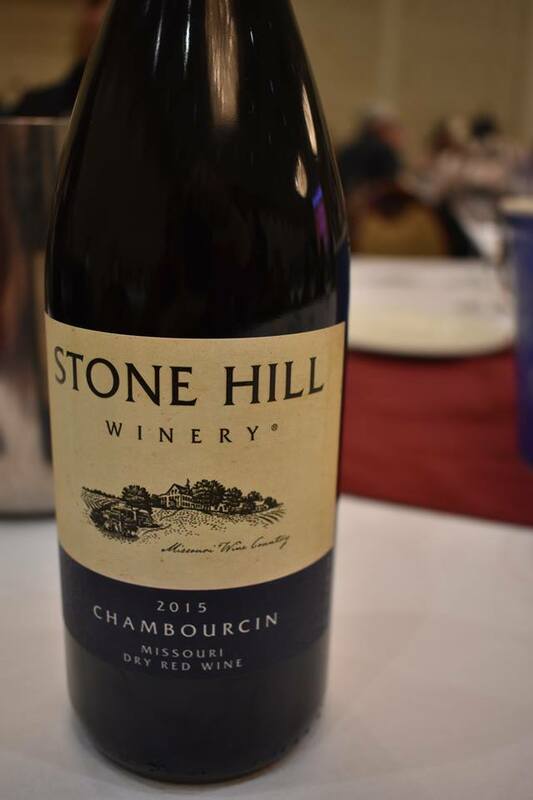 Winemaker Muriel Kenyon proudly served a Merlot dedicated to her ancestor. This is why we spit. 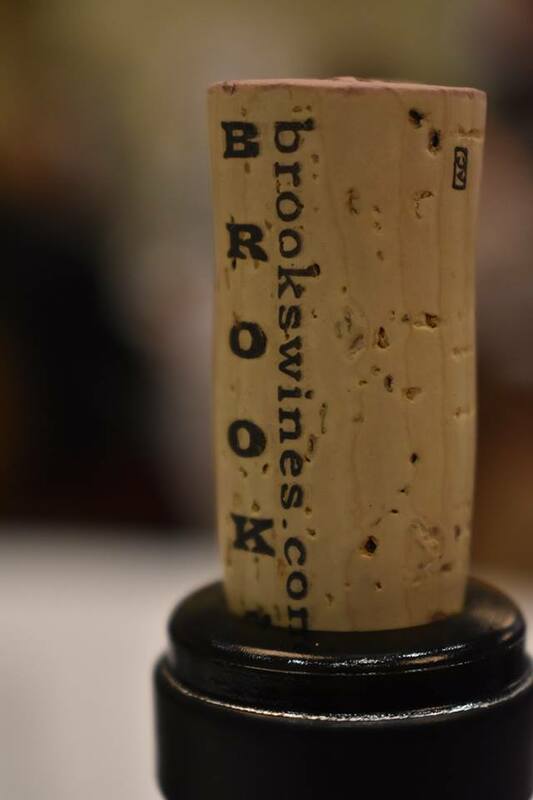 While most of these wines were from Washington State and the surrounding Walla Walla, Red Mountain, Lake Chelan, Horse Heaven Hills, and Columbia AVAs, there were others from Oregon’s Willamette Valley, and many from Napa Valley and other Californian AVAs. A special workshop by the Lugana DOC Consortzio who attended from Italy established it as one of my new favourite regions for delicate, white wines. One of the highlights of each WMC is always the speed tasting. Think of this as a form of speed dating – but with wine instead of people! There are always two of these – one for the reds, and one for the whites and rosés. This involves 1 hour, 10 wines from participating wineries, lots of spitting, and 6 minutes for each wine of fast fingers to type up tasting notes and to post them online simultaneously. This, as I’m sure you can imagine, is no small or easy feat. 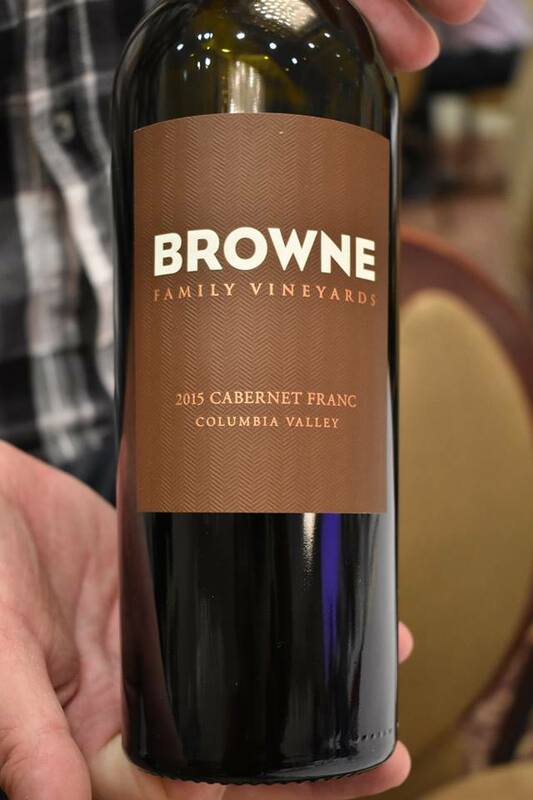 Browne Family Vineyards – Cabernet Franc, 2015 – I bought this the next day which should tell you something about the crunchy red raspberry profile. 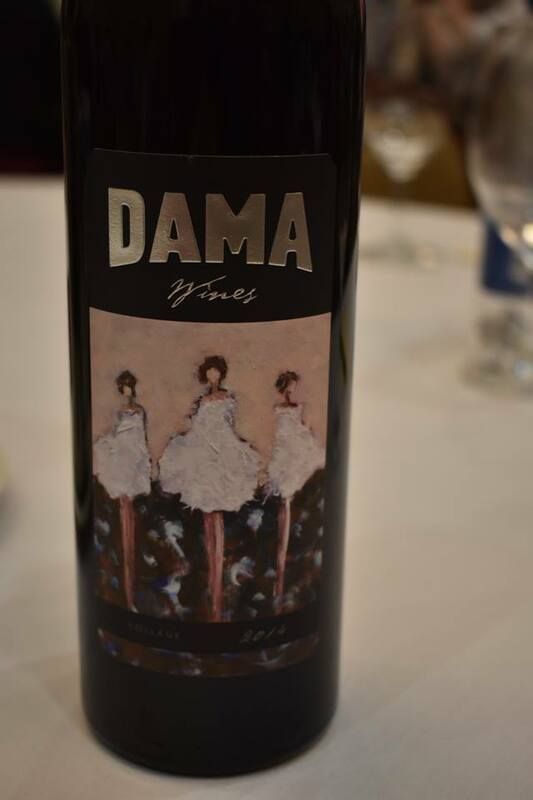 Dama Wines – Collage, 2014 – A 2018 San Francisco Chronicle Wine Competition silver medal winner. 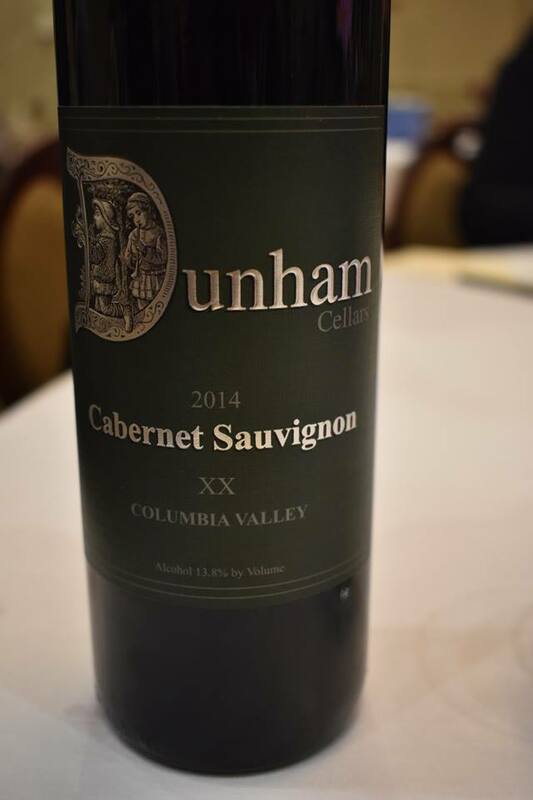 Dunham Cellars – Cabernet Sauvignon, 2014 – I went to their extremely impressive owner-hosted gala dinner event. Their wines are delicious, and the cool tasting room is at Walla Walla’s Airport District. 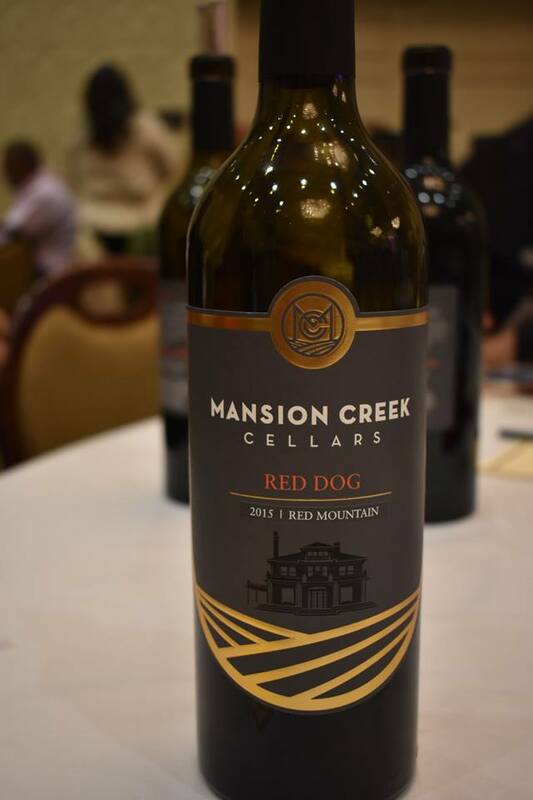 Mansion Creek Cellars – Red Dog, 2015 – I was apparently the only one at the event who knew the grape for this wine, Tinta Cão, means the name of the wine, ‘Red Dog’. This falls under the category of useless-things-you- learn-when-taking-the-WSET Diploma. I bought their Field Blend the next day. 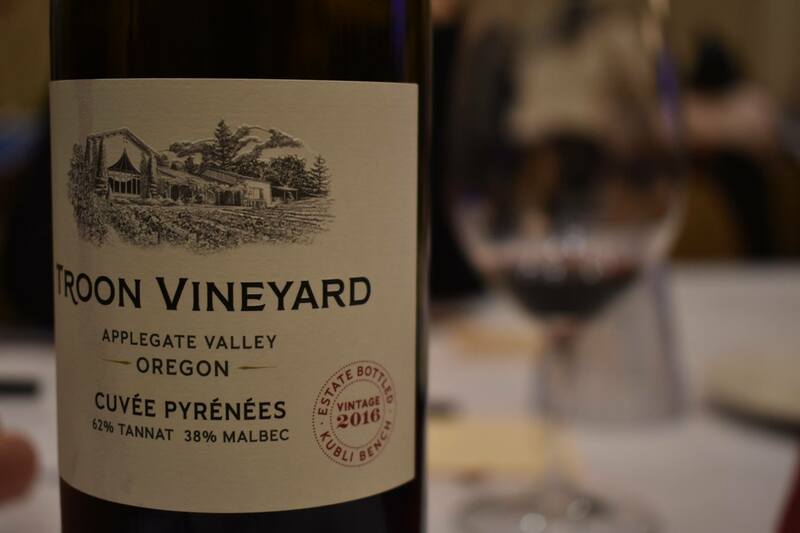 Troon Vineyard – Cuvée Pyrénées (62 Tannat + 38 Malbec), 2016 – I visited their Carlton, Oregon tasting room in 2016 and bought their Vermentino. 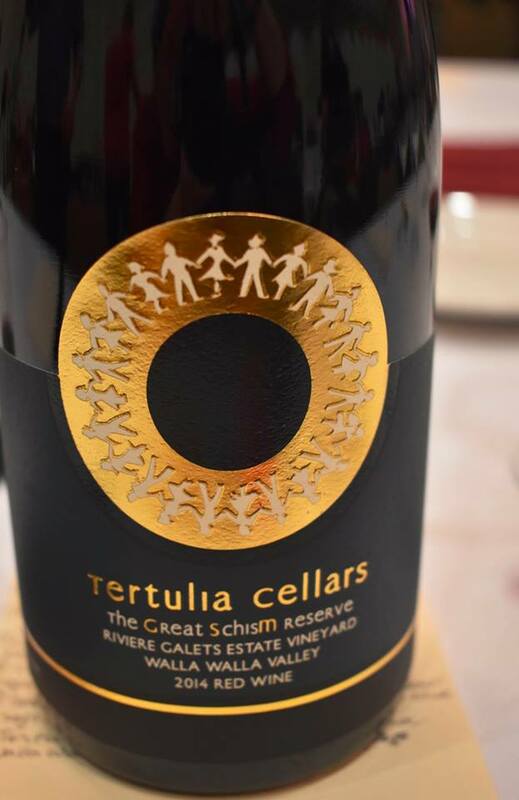 Tertulia Cellars – The Great Schism Reserve, 2014 – From Walla Walla, absolutely tasty, and definitely hands down winner of the best bottle labels. 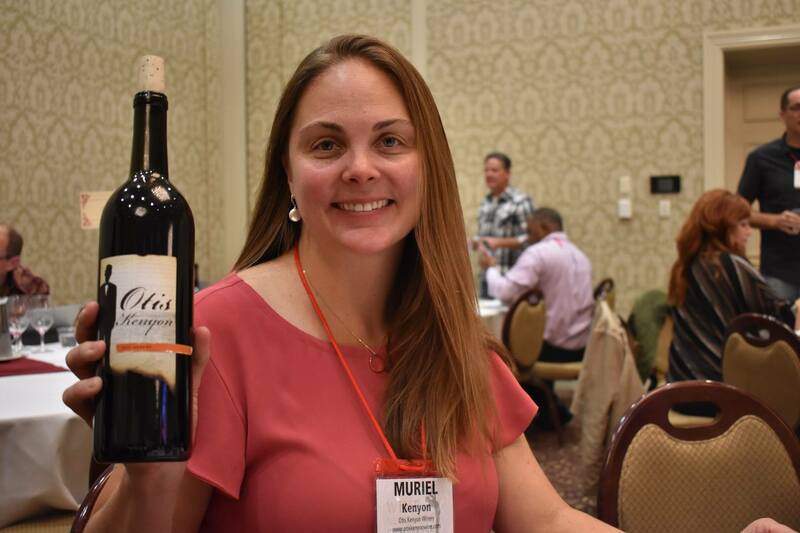 Otis Kenyon Wine – Merlot – Winemaker Muriel Kenyon regaled us with the story of her family history in Walla Walla and who this wine was named for (a struggling dentist who ended up serving time for arson, left town and was presumed dead for decades). I kid you not! 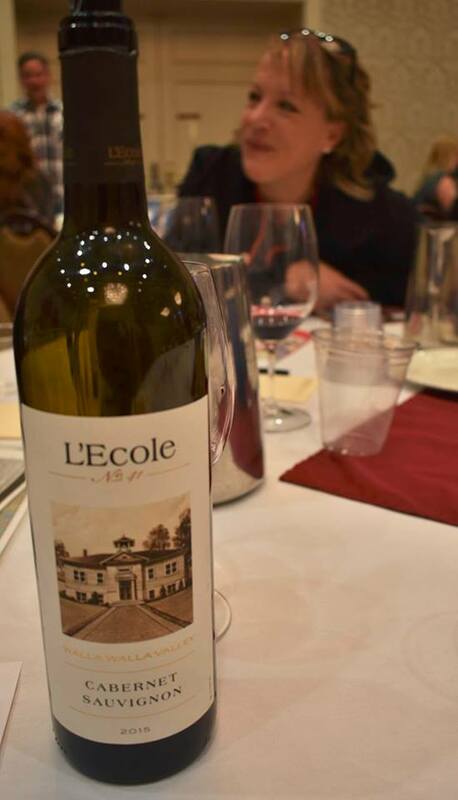 L’Ecole 41 – Cabernet Sauvignon, 2015 – The subject of another post and earlier winery visit. Any way you slice it, the speed tasting events are always fun. Just remember to enjoy the wine, but spit when you must. This entry was posted in OTHER and tagged Brooks Wines, Browne Family Vineyards, Dama Wines, Dunham Cellars, L'Ecole No 41 Winery, Lugana DOC, Mansion Creek Cellars, Otis Kenyon, red wine, Stone Hill Winery, Tertulia Cellars, Troon Vineyard, walla walla, Walla Walla AVA, washington state, wbc, wbc2018, wine, wine bloggers conference, Wine media conference, WMC2018. Bookmark the permalink.